I’m a very hot natured person, so I don’t typically crave warmer weather. However, this year I’ve been anxious for its arrival. Last spring I was humongously pregnant and could not enjoy the outdoors like I wanted to, so this year I am taking advantage of it and embracing all of my favorite elements of spring and summer. All of the gorgeous flowers blooming and berry bushes producing have been making me want to carve out a little time in my week to have a special Mommy-daughter date with my oldest girl. 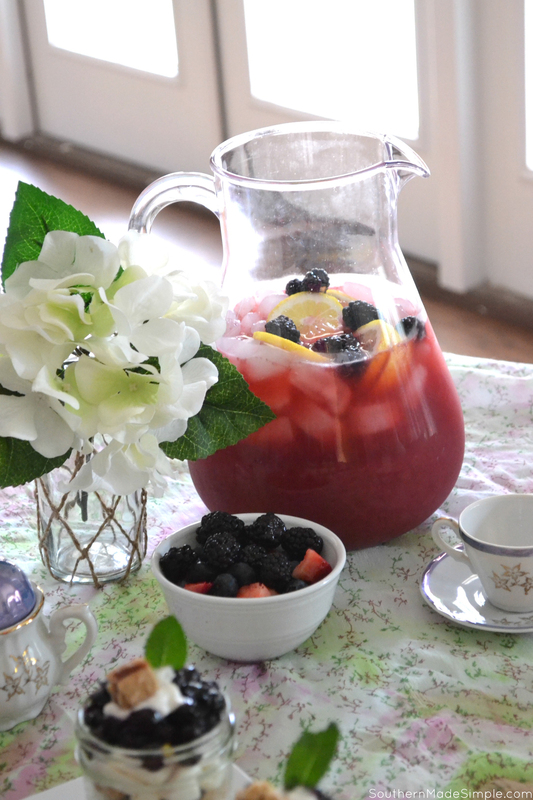 With the official arrival of spring being such a special occasion, I decided it would be appropriate to celebrate the best way I knew how: A fruit-tastic tea party! Last week while shopping at Walmart I came across Betty Lou’s Fruit Bars, which are these insanely delicious gluten-free bars that contain sugars only found from natural fruit and fruit juice. Honestly, they taste just like a piece of pie! They’re a perfect little pick-me-up to snack on during the week, and they served as my inspiration for making a sweet little dessert to serve at the tea party I was planning. I wanted a dessert that was light, yet still decadent enough to feel like a bit of an indulgence for my daughter and I. 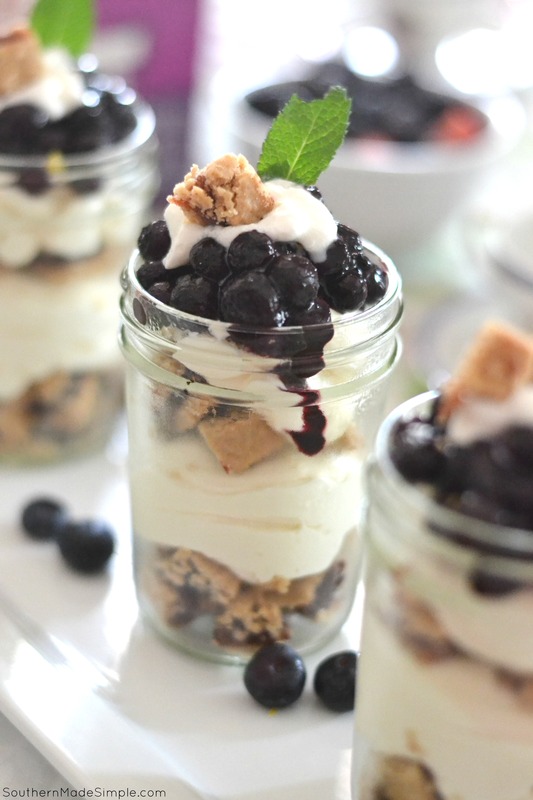 With a few quick chops, I incorporated the Betty Lou’s Fruit Bars into a star ingredient in these Skinny Gluten Free Berry Cheesecake Trifles! 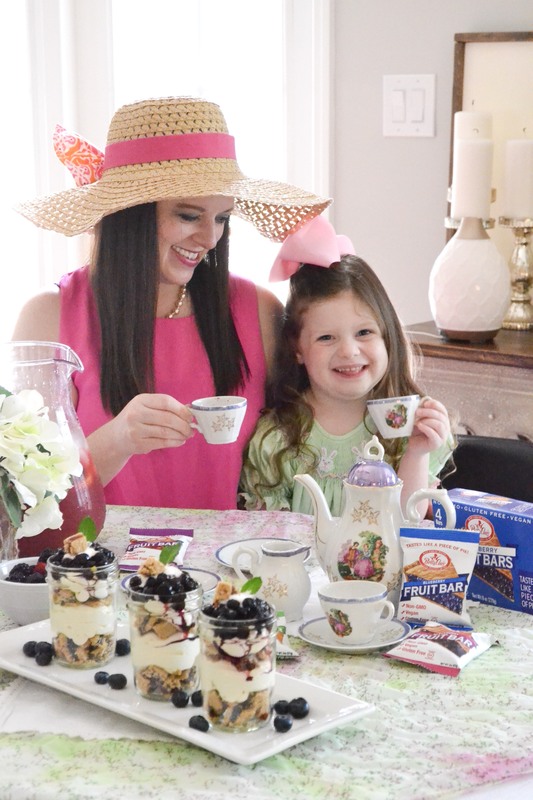 Each layer of this dessert is bursting with a sweet berry flavor, and it paired perfectly with a small cup of my Blackberry Lemonade that my daughter is crazy about. Using a fresh lemonade for our tea party instead of an actual tea made it feel like summer is practically here! You can find the recipe for our blackberry lemonade using the search bar located on the right hand side of this page, or scroll down to the bottom to find the search bar if you’re using a mobile device. 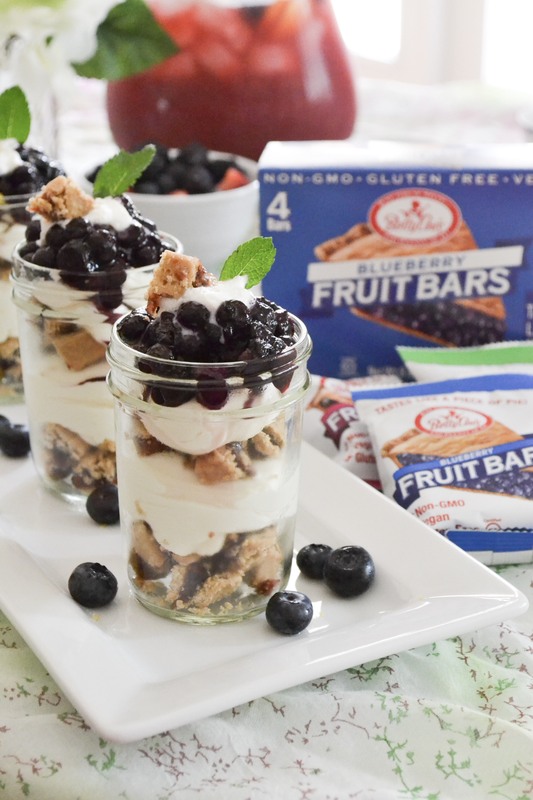 In addition to Betty Lou’s Fruit Bars being an amazing component in our cheesecake trifles, they’ve certainly become one of our new favorite pantry staples to keep on hand at all times. I keep a small stash tucked away in our diaper bag (aka – my purse) for when my oldest daughter and I want a little quick snack. She’ll be starting school in August, and these will be a great addition to her lunch box during the week! If you’re planning a fruit-tastic tea party to celebrate the arrival of spring, or if you’re just itching to dig your spoon into a glass of berry goodness, here’s a free printable copy of the recipe for you to try! 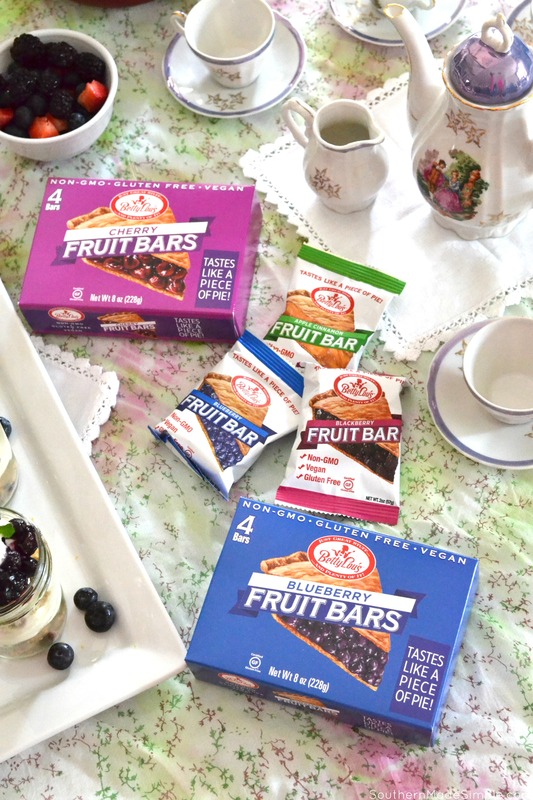 Remember, you can find these delicious Betty Lou’s Fruit Bars at select Walmart stores or online at Betty Lou’s Inc! 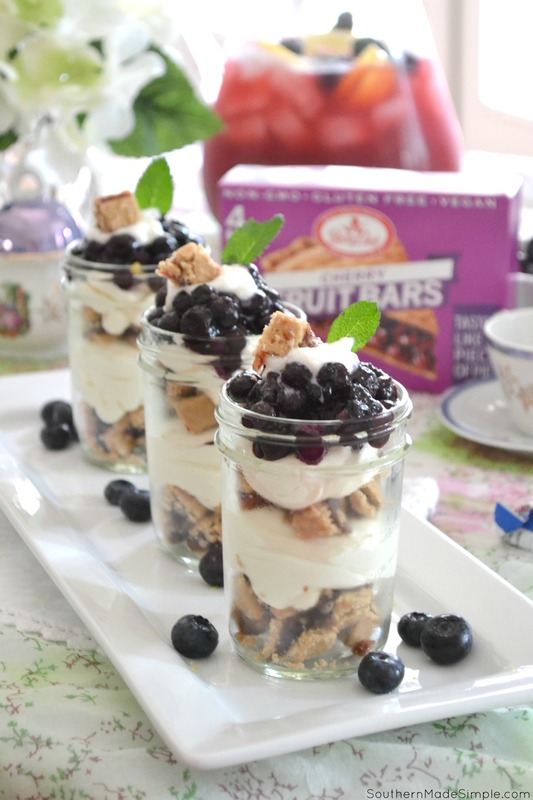 Using a butter knife, chop Betty Lou's Fruit Bars into small bite-sized pieces and add a layer to the bottom of a small glass jar to make the "crust"
Garnish with a touch of whipped cream and a sprig of mint and serve! Have you been eager for the arrival of spring and warmer weather? What foods remind you the most of this beautiful season? Make sure you swing by Walmart or shop online at Betty Lou’s Inc. and add a few boxes of Betty Lou’s Fruit Bars to your cart! I know you’ll fall in love with them like we have – no matter what season it is! Enter your zip in the http://www.bettylousinc.com website store finder for a store near you!